Last week I made a new quinoa and wild rice salad that I think will become a bit of a mid-week staple here. 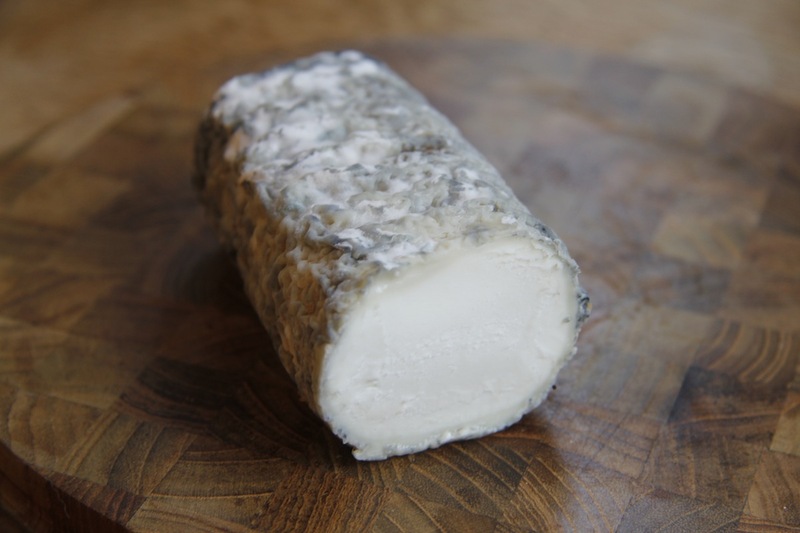 It is based on Ottolenghi’s quinoa salad with dried Iranian lime in Plenty (245) and it features another one of the lovely cheeses from our cheese box – Innes Log. I used roasted sweet potato, but you could just as easily use roasted squash, or carrot, or courgette and we probably will as the season progresses. Quinoa and wild rice salad with Innes Log: 1 sweet potato cubed; 100g mixed wild rice and camargue red rice; 1 onion; 100g quinoa; small handful of sage and oregano leaves; large handful of mint; juice of a small lemon; Innes log or other goat’s cheese; two finely ground Iranian limes (I ground mine in the coffee grinder and it worked fine); 1 onion; lots of olive oil. Roast the sweet potato or whatever vegetable you are using. 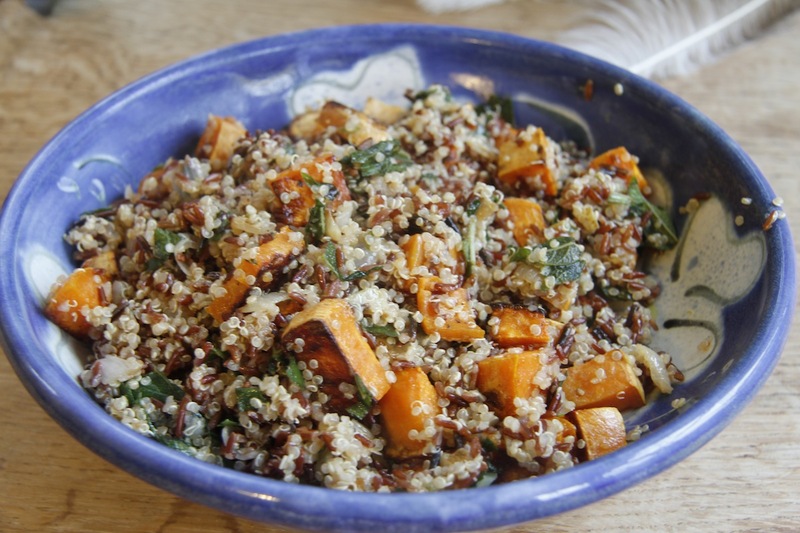 Cook the quinoa and the wild rice in separate pans, drain and put into a mixing bowl. Fry the onion and then when soft add the sage leaves and oregano and fry a little more – add to the grains. Then add the roasted vegetable, the mint, lemon juice and ground lime. Add salt and pepper to taste and mix. Serve with cheese on the side on scattered on top. Serves two greedy people with a small portion leftover for lunch. This is unbelievably delicious – so much so I am going to make it again this week in a larger batch. It might be nice with poached duck eggs on top – I love rice and poached egg. hmm…not sure I can get Iranian limes here in North Carolina. What would an option be? or maybe I can get them from Amazon. Will explore. Maybe add a little more lemon juice, or some lime juice? My sister sent me my dried limes from Sweden!